By Nels Dzyre in Mobile. Updated on January 9, 2019 . Anyone who regularly flashes ROMs would understand the pain of restoring backups. There are just so many steps and it is so time consuming. It would be nice if we could have all our apps, data and preferences in a single flashable zip which we could flash without the need for restoring anything. Well thanks to JRummy Apps, we have. It’s called ZIPme. 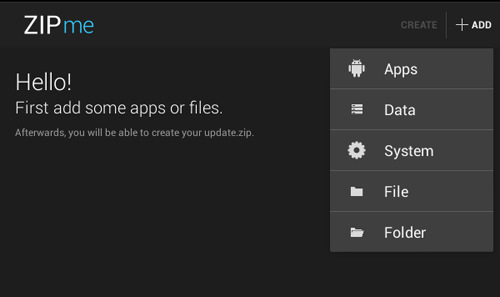 ZIPme is a powerful tool to create "update ZIP packages" to install in recovery. ZIPme allows you to create a flashable backup ZIP of anything from build.prop, system fonts, accounts, boot animation and many others. 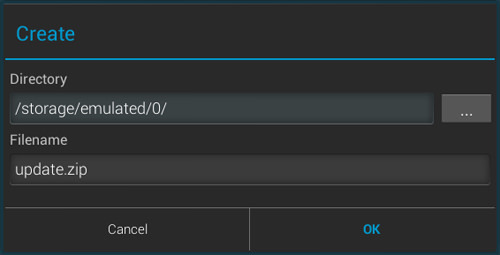 You can flash it in Android recovery after you have flashed a new ROM. 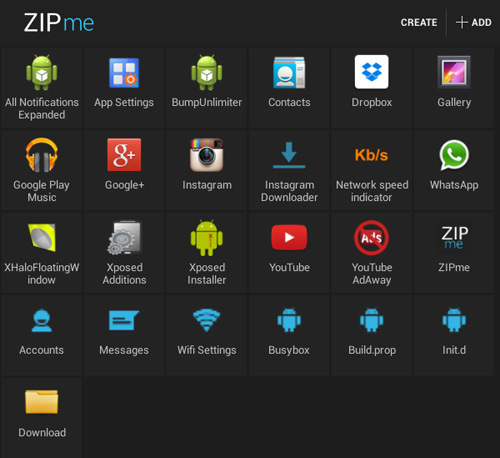 You can download ZIPme app over here. When you open the app, you will be presented with a straightforward interface. The +ADD feature allows you to add Apps, Data, System, File or Folder type formats to be created into a single flashable zip file. Under Apps, choose to backup downloaded apps, system apps and others, as a standalone app or together with backed-up app data. After that your apps will be added to the main page. Proceed the same way for Data, System, File and Folder type formats too. 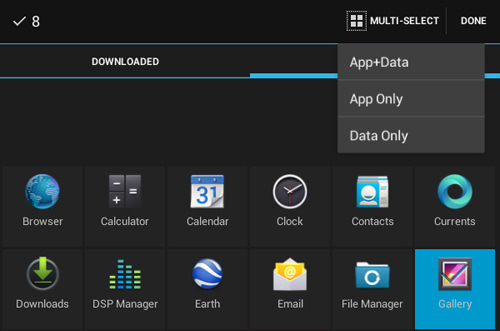 Once you have added everything that you want to backup, simply tap on CREATE. Next, choose where you want to place your flashable zip once it’s created. Then you may change the default filename to whatever you want. Press OK when you’re done. Now you will have your own flashable zip that you can flash in Android recovery anytime. While everything does work fine, the app is still currently in beta so expect bugs and hiccups when you use it. But beta aside, this app has a great and easy to use UI and makes creating your flashable zip a breeze.